We can fast forward to just a couple of summers ago. I saw an ad in the paper for a reunion of The Hayloft Jamboree at The Mishnock Barn in West Greenwich. Well, I could not wait to get there on this warm Sunday afternoon. Diane and I started to swing to the music as soon as we entered. On the stage was Eddie Zack, Jr. rekindling the tunes we heard so many years ago. The regulars were dressed in wonderful western gear with cowboy boots, tight-fitting jeans, ten-gallon hats, string ties, flowing multi-colored dresses, wide belts, and large buckles. Oh my, how they did the Texas two-step so effortlessly. They took no notice of us (me in pale yellow shorts and Nike sneakers) as we danced to “Your Cheatin’ Heart” and so many other classic western tunes. Click on the link below to read the full story. Thank you. 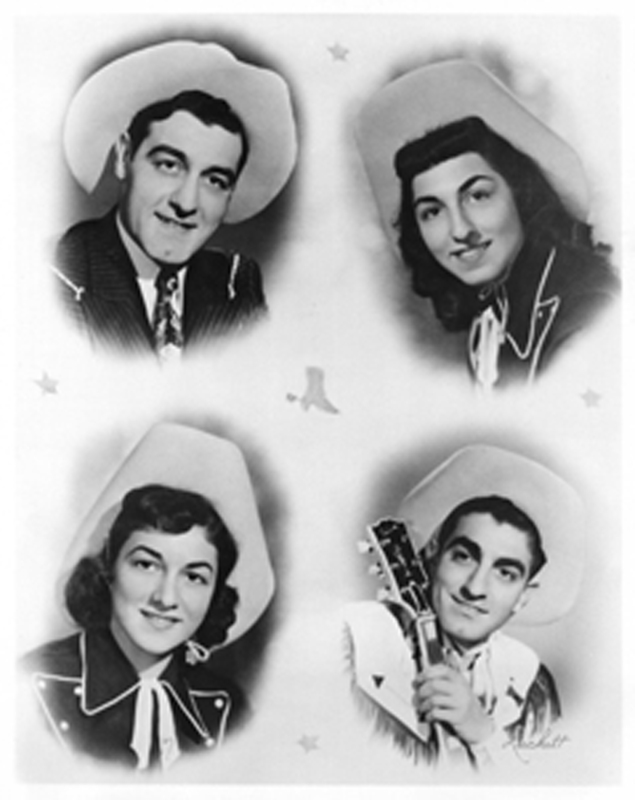 I remember Eddie Zack and cousin Richie.I never knew they were brothers and sisters that sang along. I remember riding down to Lake Mishnock with my brothers friend who was a big fan. We parked on the side of the highway and can’t remember much after that. I do remember coming home from school for lunch and having a cup of hot soup and a crust of Italian bread with butter. (still do the heel with butter now and then) It was Kate Smith, singing God Bless America when I entered the house. I remember Eddie Zack and cousin Richie. I vaguely remember that they had a local TV show or did they just make TV appearances? Please refresh my memory, Dr. Ed. Maria, they had a regular local TV show and a national radio show, both originating in the Outlet studios. Hi Ed: We live in Arizona now having moved here in 2001. Before we left Rhode Island, I listened to Eddie Zack and Cousin Richie Zack on WJJF AM 1180 Real Country out of West Warwick. The summer before we left R.I>, we went to the Washington County Fair like we did just about every year. Eddie Zack had a booth there, and I was thrilled to converse with Eddie. He was such a great guy. I asked him if he had ant CD’s of the Hayloft Jamboree folks for sale. He stated that he did not have any with him, but he arranged for me to meet his lead guitar player in Warwick several days later. When I went there, i was presented with a CD of songs and personally signed by Eddie, Cousin Richie, Babs, Marilyn, and all of the band! I will never forget this man; he was so kind. When I found out that Eddie had passed away, I had tears in my eyes. Eddie Zack, Cousin Richie Zack, and his band are Rhode Island icons. It’s amazing to me how many the Zacks touched. They did it with quality and class, just as you noted, Ray. I trust you still have the CDs. Thanks for the nice note.